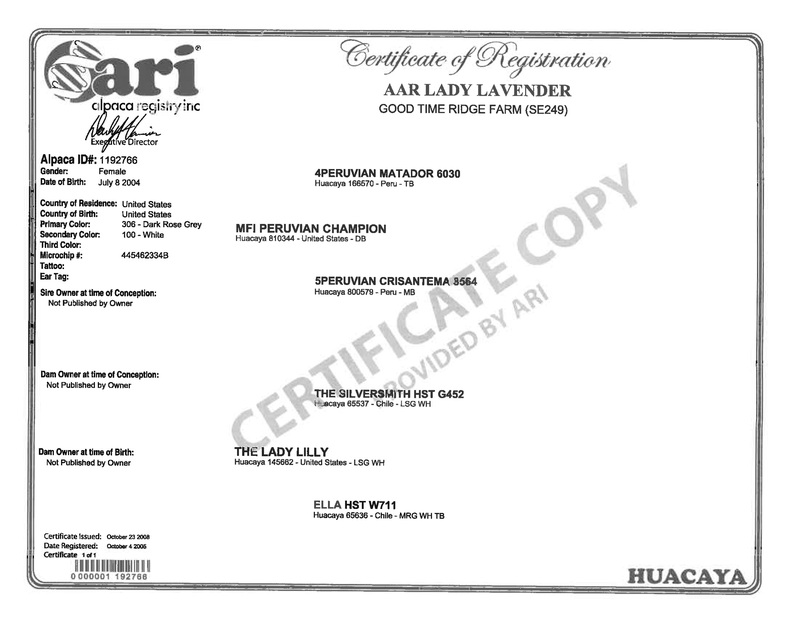 Lady Lavender has a dense, dark grey blanket that is loaded with character. 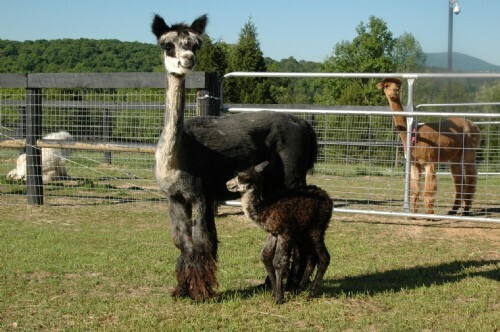 Lavender was bred to Snowmass Artic Fox produced a solid dark silver gray male cria with silver tipped ears, when bred to black she produced black and when bred to a solid rose gray she produced a rose gray so it is pretty easy to say she lets the sire pick the cria color. Lavender is great mother with loads of milk and has never had any problems with birthing. She will be an asset to any farm. Lavender is a big hit on the farm she will meet and greet all visitors and wants to be the center of attention. 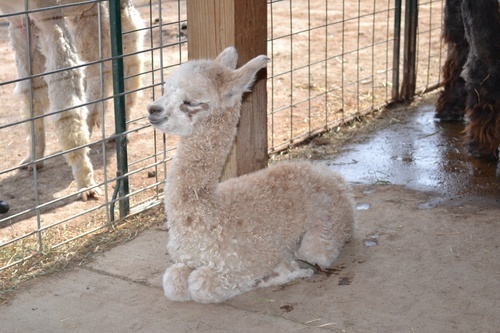 Lavender and Leo produced such a nice cria I repeated the breeding and I will include a breeding to any of my unrestricted males for a future breeding. UPDATE-Leo and Lavender just had a big beautiful brown male. 18pounds at birth and in 11 days is 27 pounds. Financing is very flexible and we will work with you on any reasonable offer.